Travelling Tajikistan is not always easy, but the days of corrupt border guards and random checkpoint charges are pretty much over. This guide will teach you everything you need to know about travelling in this fascinating country. Rough and rugged Tajikistan is a place where few travellers venture, but with recent improvements in tourism infrastructure, now is the time to enter this amazing country. Whether you’re planning to take on one of the worlds most epic road trips (The Pamir Highway), or you just want to sip espresso from a cafe in Dushanbe, Tajikistan has it all. If you’re the type of traveller who seeks adventure where few other travellers go, then you’ve come to the right place. Tajikistan is one of the least visited countries in Central Asia, and Central Asia is one of the least visited regions on Earth… so get ready for an off the beaten path experience that you’ll never forget. How Much Will Tajikistan Cost? Most people backpacking Tajikistan will probably be taking the Pamir Highway road trip, and for this portion, your budget will be higher, but not too much higher. If you can arrange a vehicle with 4 travellers in it, you can expect to pay about $110 / day for the vehicle, fuel and driver, with the cost of side-trips, rooms and food extra. Outside of the Pamir Highway trip, around $35 / day / person should be plenty, but expect to pay more in Dushanbe. If you’re doing a Central Asia trip, the cost of visas for your next country(ies) can add up so keep that in mind when budgeting your trip in this region. A cheap double room in Dushanbe will cost you around $30 / night. On the Pamir Highway, stays in yurts and home stays will usually cost around $15 / person / day including dinner & breakfast. There are a couple of places on the highway where you can get a hotel room and they are around $10 / person / night including breakfast. On the Pamir Highway, your meals will mostly be included in your accommodation costs. In Dushanbe expect to pay around $5 – $10 for a western meal, or $3 – $5 for a local dish. Don’t miss the best Indian food in the world at Salaam Namaste in Dushanbe (around $10 / large meal). Expect to find mainly local-style dishes outside of Dushanbe (around $3 – $5). Probably the only time you’ll be paying entrance fees will be at National Parks & some museums in Dushanbe. Entrance fees are very reasonable, even in the capital. Typical costs are between $1 – $3. There are some parks that you may enter on the Pamir Highway that will cost around $5 / person. 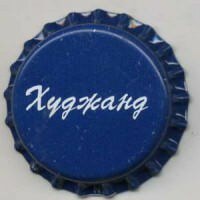 Tajikistan is said to have the cheapest beer in the world. A pint of Khujand will cost about 40 cents, but personally we continued to drink Baltika (a Russian lager) when we were backpacking Tajikistan. You can find lots of different cocktails in Dushanbe, but outside of the capital expect to be limited to beer and spirits. 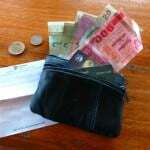 Tipping is not customary in Tajikistan but services that cater to tourists will expect a gratuity. If you’ve hired a guide, a porter or a driver, expect to give a tip at the end. For the Pamir Highway trip, your driver will definitely expect a tip for his work. 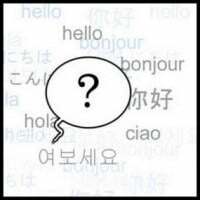 Around 10% of all services would be a generous tip if your driver speaks English and doubles as a guide. Some restaurants, particularly in larger hotels, will add a 10% service charge to the bill. If you stay with a local family in Tajikistan, it’s a good idea to leave a small gift. Stickers, pens and notepads from your home country are great to give to kids when you leave. 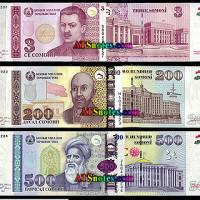 The currency in Tajikistan is called the Tajik Somoni or Som for short. The exchange rate at the time of writing was $1USD = 4.9 TJS. 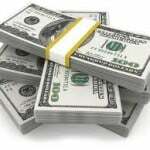 Denominations come in 1, 3, 5, 10, 20, 50, 100, 200 and 500 notes. There are no ATMs on the Pamir Highway except in Khorog, but even the ATM there can be unreliable. 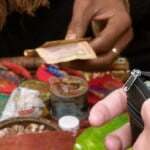 You can take out USD and TJS from ATMs in Dushanbe and some other cities. In small towns, you can withdrawal TJS only and sometimes you won’t be able to find an ATM at all. ATMs accept Visa, Mastercard and Maestro, which means that they usually also accept Plus and Maestro debit cards. There are far too many “must-see places” to list here. We spent a lot of time in this country and we still have much to see. Tajikistan is most famous for the Pamir Highway trip, but the country has far more to offer. The Pamir Highway (M41) is the second highest road on earth (next to the Karakorum in Pakistan) and it traverses the Pamir Mountains through Afghanistan, Uzbekistan, Tajikistan and Kyrgyzstan. The majority of the highway is in Tajikistan and it is one of the main tourist draw cards for the country. Most commonly, travellers drive the length of the Tajik highway between Osh (Kyrgyzstan) in the north and Khorog in the south (most travel South to North but trips can go both ways). The trip can take anywhere from 1 week to 2 months depending on how much you stop and what you decide to see. You will pass through some of the most impressive mountain ranges on earth including the Hindu Kush (Hindu Killers) and the Pamirs themselves. The scenery on this drive is spectacular and it is a road trip like no other. What makes the drive so memorable are the many turnoffs and side trips that lead away from the M41 itself. Expect to trek to mountain lakes, spot endangered Marco Polo sheep and sleep in yurts along the way. It’s best to organize this trip from Dushanbe (heading north), Osh or Murghab (heading south). There is a lot to know about a Pamir Highway trip and for this, we have The Ultimate Guide To The Pamir Highway Road Trip… coming soon! Other than the Pamir Highway trip, this is probably the most popular excursion to take in Tajikistan. Located in the Sughd Province in northern Tajikistan, these stunning, snow-capped peaks are the perfect place for hikes, treks and exploration. The area is also known as “The Land Of Lakes”, thirty of which can be seen rather easily and each displays its own color. The Fann Mountains provide a great alternative for those who don’t want to embark on the epic Pamir Highway trip, but still want to see the beautiful scenery that Tajikistan is famous for. Tajikistan’s proud, modern capital, this is a great place to chill out and enjoy some delicious food and drink. If you’re planning a trip into the rest of the country, or returning from one, Dushanbe makes for a great place to plan your adventure, or your next country on a Central Asia trip. This is one of the best places in the region to pick up visas for Iran, Turkmenistan, Uzbekistan and other places you may visit. Central Asia’s most politically divided, culturally diverse and notoriously unstable region, the Fergana Valley actually makes for a great travel destination. If you can make it up to Kujand, the second largest city in Tajikistan and home to the worlds cheapest beer, you can travel from there and enjoy some very off-the-beaten-path places in the far north of the country. Goat Note: The political situation is always changing in the Fergana Valley. Make sure to check that it is stable before planning a trip there. Another one of Tajikistan’s main touristic destinations, Zeravshan is nestled amongst the Western Pamir-Altai mountain ranges. The word Zeravshan means “Golden River” and it refers to the main river which crosses the valley and provides precious water to the inhabitants of the area. Famous for impressive landscapes, and gorgeous lakes (including Alouddin, Kulikalon and Iskanderkul Lakes), the area is perfect for hiking and horseback riding. If you’re not looking to do any alpinism while you’re here, check out Penjikent, the old capital of the Sogdian Empire and home to the best preserved remains of the pre-Islamic, Zoroastrian civilization. Goat Note: Once a major tourism draw during the Soviet Era, the Zeravshan Valley is now reserved for those “in the know”. A great off the beaten path place in Tajikistan. If you’ve been travelling through Central Asia for a long time, then Dushanbe will feel like heaven. Decent bars, excellent cafes and classy restaurants, the Tajik capital is like a breath of fresh air (except for the pollution). A trip to Tajikistan wouldn’t be complete without doin’ it up in Dushanbe! Even if you don’t do the Pamir Mountain trip, everyone should splurge the $90 (each way) to fly from Dushanbe to Khorog, over the Pamir Mountains! This is one of the most amazing experiences you could ever have and the views are spectacular. The chopper flies through the mountains, not over them, so the windows are open and you can feel the crisp mountain air flood into the cabin at 5,000 meters! If the helicopter isn’t available, the small planes are still an exhilarating experience. Goat Note: The ride takes 2 hours and costs about $90 US. In Canada (for example) you’d be lucky to get an 8 minute helicopter flight for this cost… and you wouldn’t be flying over the Pamirs! With so many beautiful mountains, alpine lakes and forest trails, there’s no better place in the world to trek over a mountain pass. 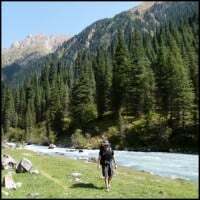 There are dozens of well-marked paths that can take you high up into the alpine regions of Tajikistan. Hire a guide for lesser known trails and really find yourself in the middle of nowhere! Petroglyphs are ancient rock carvings that often depict the hunting of ibex and other animals, as well as some musical instruments and cultural displays. Found mostly in the Pamir region around the Ghunt Valley, petroglyphs are an interesting look into the early history of the region. Many of them date back to the bronze age over 2100 years ago. Right on the border between Afghanistan and Tajikistan, the Ishkashim cross-border market is a great way to peek into Afghanistan without actually entering the country. Located on the Afghan side of the Wakhan river (over a small bridge) the market is an excellent place to witness the sales and bartering, as well as the traditional clothing of the Afghan people. Goat Note: Due to recent instability in Ishkashim, make sure you check the current situation before planning a visit to the cross-border market. The best hot springs in the country are Bibi Fatima near Yamchun in the Pamir Mountains. But if you’re not going to do the Pamir trip, there are other great springs around the country. For some, expect to enter fully naked with separate bathing times for men and women. Food is a huge part of travelling to any country and backpacking Tajikistan is no different. Although many dishes in the countryside lack flavour and seasoning, you can find some delicious local meals in Dushanbe. Note: Islam is the dominant religion in Tajikistan, so you won’t find pork in many, if any of the meals. Considered the Tajik national dish, Qurutub is named for the way in which is prepared. Salty cheese balls are dissolved in water and poured over flaky flatbread. The mixture is then topped with fried onions and other vegetables. This meal is always eaten with the hands from a communal plate. The most common meal in Tajik cuisine, plov (pilaf) is a rice dish made with carrot, turnip and pieces of meat (usually lamb or goat) all fried together in vegetable oil or animal fat in a special wok known as a qazan. This long, thick Chinese noodle is often found in delicious lamb and goat soups. A Laghman noodle dish will be hard to avoid when travelling in Central Asia… you’ll find it almost everywhere! Almost every meal you order in Tajikistan will come with soft, warm, freshly made bread (non). Bread makers take great pride in their recipes and in the intricate designs that they place on the surface of their creations. The bread in Tajikistan is delicious! Let’s be honest, not many people visit Tajikistan and by coming here, you’re already “off-the-beaten-path”. Some main places to note that are further away from the “crowds” are the Fann Mountains, the Fergana Valley and the Zeravshan Valley. You’re planning a trip to an amazing place and there are many pros to backpacking Tajikistan. Travel is very personal and different for everybody, so you’ll probably find many more pros when you’re in Tajikistan. We’ve only listed a few. There are plenty of cool homestays throughout Tajikistan and they give backpackers a great opportunity to meet local people and try home-cooked, traditional dishes. The Pamir Highway and the Fann Mountains have many home stays; all offer clean rooms (the most basic offer cushions on the floor). Tajik people are a definite PRO of travelling in Tajikistan. They are warm and welcoming and are usually happy to have their photos taken as long as you ask first. 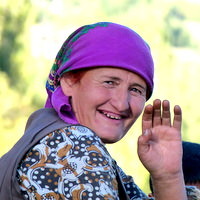 Tajiks are always happy to see visitors enjoying their country. It’s always interesting hearing about other people’s unique travel stories. In Tajikistan, almost everyone is on an epic trip. You’ll meet people cycling the Pamir Highway (hundreds of them) and people in the midst of the Mongol Rally. We met a couple riding from Australia to Europe on a tandem bicycle, and a guy riding a tiny motorbike from London to Ulan Bator in a chicken costume! Yes, you’ll see it all in Tajikistan. With a country so undiscovered by tourism, there are a few cons to travelling here. In all honesty, there aren’t many cons to Tajikistan, but we’ve named a few. We were victims of theft (not so petty) on the Pamir Highway. Make sure you keep your bags locked when you’re not around. There is theft everywhere in the world and if you’re cautious, you won’t have an issue in Tajikistan. If you don’t speak Tajik or Russian, it can be difficult to communicate with the locals. In the capital you will find many people who speak English. Outside of Dushanbe you’ll be forced to use charades, hand motions and drawings! It’s all part of the fun though. We suggest bringing along a Russian Phrasebook. Like most of the region, Tajikistan is not a culinary hot spot. There are some tasty dishes, but with traditional Tajik food, the preparation techniques and major ingredients have been strongly influenced by the nation’s historically nomadic way of life. 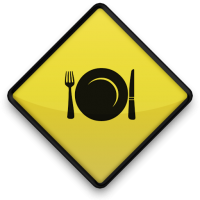 Thus, most meals are conducive to the long-term preservation of food, rather than overall taste and enjoyment. Goat Note For VEGETARIANS: Travelling to Tajikistan as a herbivore may be difficult but not impossible. Don’t let your diet deter you from visiting this country… although if you’re a vegan, good luck! Travelling in Tajikistan is not always as easy as hopping on an air-conditioned bus to your next destination. Sometimes you’ll have to arrange a private driver because the local buses simply won’t take you where you want to go. On the Pamir Highway, you can cycle or hitch hike. Hitch hiking is fun and cheap, but to see all of the side trips with ease, it’s best to hire your own car and driver. If you’re heading to Central Asia, you’re going for the same reason that everyone else is going, to find somewhere unique and off the beaten path. Other travellers in Tajikistan can be a major highlight of your trip, with so many different backpackers on so many different adventures, you’re sure to hear many amazing stories at every hotel and home stay dinner table. We found the other travellers here to be mature, adventurous and inspiring! Formally known as sarts, Tajik generally refers to the persian speaking majority of Tajikistan, Afghanistan and Uzbekistan. 79.9% of the people in Tajikistan would consider themselves Tajik. The people here speak many regional languages including Pamiri, Wakhi and Shughni. The people in Tajikistan are welcoming, inquisitive and generally very friendly. There are still some instances of border guards abusing their power, but altercations are usually just an annoyance rather than a real danger. Islam is the dominant faith of Tajikistan. 98% of the population is Muslim (93% Sunni and 3% Shia) while the remaining 2% is divided between Russian Orthodox, Catholic, Christian, Bahai, Zoroastrian, Judaism and other religions. Tajik (or Tajiki) is mix of modern Persian, and Turkic languages. Some people can speak Russian and there are dozens of regional languages spoken throughout the country including Pamiri and Wakhi. It will be difficult to communicate with locals throughout the country unless you know Tajik or at least some basic Russian. English is rarely spoken outside of Dushanbe and other main tourist centers. There are some local buses in Tajikistan, but many of your rides will probably end up being shared taxis and private car and driver hire. In the peak season, and even the shoulder seasons, there are usually enough travellers (or locals) to fill up a car and share the costs. A seat in a shared taxi is similar to the cost of local buses anyways. There are some cheap local flights with Tajik Air. A flight over the Pamirs from Dushanbe to Khorog is a great experience. Many travellers cycle through Tajikistan as well. In peak season, you’ll see more bicycles than cars on the Pamir Highway. 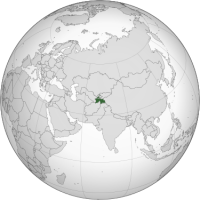 Tajikistan shares borders with Kyrgyzstan, Uzbekistan, Afghanistan and China. While some border crossings are open 24 hours, the status of most is unclear. The best strategy for success is to come early in the morning and be patient. Some border guards are a bit pervy, so if possible, have a man deal with them. From Kyrgyzstan, there are a couple of options. The rugged, remote Pamir Highway is the slowest, but most popular way to enter Tajikistan. If you’re heading to Uzbekistan, you won’t be able to take the Penjikent border crossing as it has been closed for quite some time. You’ll likely have to double back and go through the Denau – Tursanzade which is open and generally hassle-free. Public transport and shared taxis are available on both sides. There is a train to Moscow which takes around five days and crosses through Uzbekistan, Turkmenistan, & Kazakhstan. Make sure you have all of your transit visas ready if you plan on taking this route. Seat61.com is a great resource for all things train. Train 367 – 08:08 leaves Dushanbe (Mondays & Wednesdays). 14:04 Arrives Khujand next day. Final destination Kanibadam. Train 335 – Khujand-Samarqand-Saratov is three times a week. 18:44 depart Khujand (Mon, Thur, Sat) 02:15 arrives Samarqand. Train 336 – 06:10 departs Samarqand (Wed, Fri, Sunday) 14:27 arrives Khujand. Goat Note: Give yourself plenty of time when crossing borders into Uzbekistan from Tajikistan as the process can take hours! Internal flights often have destinations high in the mountains where passes get snowed-in and a plane becomes the only option. Tajik Air is the country’s main airline and has flights to Dushanbe from many parts of Central Asia (Bishkek, Almaty, Urumqi, & Kabul) and Russia (Moscow, St. Petersburg, Samara, Sochi, Chelyabinsk, Novosibirsk, Perm, Krasnoyarsk, Orenburg, Irkutsk, Nizhnevartovsk, Surgut, Kazan, & Yekaterinburg). Other airlines including Somon Air, Turkish Airlines and Iran Aseman service Tajikistan from Istanbul, Dubai, Frankfurt, Tehran and Kabul. Visas have to be applied for in advance at Tajik embassies abroad or may be purchased upon arrival at Dushanbe airport. However due to a recent change in the law, these visas are now usually only available to citizens from countries with no Tajik embassy. The rules are confusing (as with most Central Asian countries), so to avoid hassle or being turned back at the airport, it’s best to get your visa from an embassy in your home country or from an other country abroad BEFORE entering Tajikistan. Goat Note: If you’re planning on travelling the Pamir Highway, make sure you get your GBAO permit when you apply for your visa. 1. Almaty: Around $70 US multiple entry including GBAO. Takes about 10 minutes. 2. Bishkek: $75 USD + 100 som for 45-day single-entry visa and GBAO permit (double entry $85). Visas are issued on the spot (10 min – 1 hour waiting). Visas can be issued for $65 if you’re willing to wait 7 days. 3. Tashkent: Around $55 express single-entry visa available in 3 hours. Some people have had complaints that the Tashkent embassy is more strict than others. For many travellers, the cost is $55 and takes one week to process. Goat Note: Make sure you wear pants to the embassies (not shorts), bring multiple copies of your passport picture page, local currency to pay the visa fees, 2 or more passport photos and of course… your passport. Some embassies will have the forms to available when you arrive but to be safe, always call before and ask. Also be aware of public holidays… you don’t want to arrive when the embassy is closed. A separate permit is required if you wish to travel to the GBAO region (mainly the Pamirs); it costs $50 USD and is best obtained when applying for a visa. If you failed to get your GBAO at the embassy where you applied for your visa, you can get the permit in Dushanbe. The biggest health risk in Tajikistan is probably food poisoning and traveller’s diarrhea. There is a relatively high-risk of eating dodgy food, particularly in the Pamir Mountains, so be warned. You may have to take a few extra trips to the toilet! There are plenty of mosquitos but luckily no dengue fever or malaria have been reported. There are cases of rabid dogs and cats, so beware when entering anyone’s property. If there are barking dogs, try to tell the owner to tie them up and avoid petting stray animals. There is no risk of Yellow Fever in Tajikistan. There is relatively good cellular coverage in Tajikistan and you’ll find that even when you’re in a high altitude village, there are locals standing on a hill and holding their mobile phones up to find bars. Major service providers include Babilan and Tcell and with varying service in different regions of the country, it’s hard to choose the right one. Internet can be found in some guesthouses and hotels but you’ll rarely find wi-fi in a homestay. The only reliable wi-fi on the Pamir Highway is in Khorog. Most major villages and towns have some sort of internet cafe or a place you can connect to the internet in other parts of the country though connections are often painfully slow and unreliable. Um… sorry. Not much in the way of movies about Tajikistan. If you know any, please tell us in the comments below! Good luck finding any books that do Tajikistan any real justice. Pamir – By: Ted Callahan is German, but it’s a book of photography so it’s worth a look. Central Asia In World History – By: Peter Golden is a great book that will give you a good idea of the history in the region. 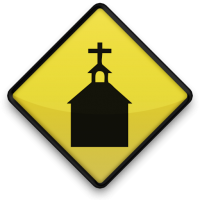 It’s written simply and will give you a better understanding than the short history section in your guidebook. The best time to visit Tajikistan (if you’re heading to the mountains) is between June and September. During this time however, the lower lying reaches of the country can be scorching at over 40°C (105°F). Spring (March – May) has more mild temperatures but there are a lot of spring showers that can make mountain passes and muddy roads impassable. If you’re not going to the mountains, April is a great time to visit Southern Tajikistan when much of the region is in bloom. Goat Note: Weather throughout the world is changing. You can’t even try to predict seasons anymore, but you can assume that Tajikistan is mostly freezing after November. These are the current weather forecasts for all of the regions you are likely to visit in Tajikistan. Dushanbe is relatively central, Pyanj is south, Khojand is in the Fergana Valley, Karakul gives an accurate weather forecast for the northern high altitude Pamir, while Khorog shows typical weather for the southern end of the Highway. As you can see, all of these regions have varying weather patterns. We give backpacking in Tajikistan 7 stars! If we were rating Tajikistan on the Pamir Highway and its natural beauty alone, then it would definitely get 10 stars. But because the country has its difficulties travelling and some visa hassle to enter, we’ve given it 7. GOAT NOTE: Rating a country is completely subject to one’s own opinion, so any rating system should be taken with a grain of salt. Travel is personal and your experience will differ from ours. Thanks for such an amazing and comprehensive blog post. I have wanted to travel through the Stans for ages. It is hard to get up to date information, so it is great to see it all here. Now to wait until my kids are old enough to handle all that travel!! Hi guys, thanks for an amazing guide! My boyfriend and I are planning a Silk Route trip for next year, traveling from Istanbul to Beijing, visiting Iran and the Stans along the way. The Pamir Highway was already on the list, but it seems we have to spend more time in Tajikistan! That sounds like a fantastic trip!! Have a great time, it’s such a fascinating part of the world, filled with adventure and basically no tourists! I definitely wouldn’t risk trying visa on arrival – a Canadian friend was flying to Tajikistan through Moscow and they wouldn’t even let her board her flight in Moscow to Dushanbe because she couldn’t show her visa – even though she had an LOI. I got my visa at the embassy in Baku for $40, two days service. I used the Oybek border crossing to head on to Uzbekistan – not too far from Khujand and a relatively short drive to Tashkent on the other side. For those going to the Zerafshan Valley, I can highly recommend the Zerafshan Tourism Development Association to help arrange homestays and guides for hiking. I volunteered with them for a month and the families I met were great. I agree, wouldn’t risk getting the visa on arrival either! 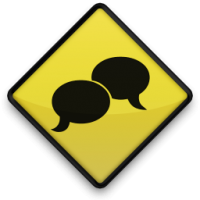 Thanks so much for sharing your info, that’s very helpful for others heading to the region. Congrats and thanks for your helpful and beautiful guide and site! All these tips are great for anyone who wants to visit Tajikistan. Don’t stop traveling and writing! Thank you Alex! We appreciate the kind words. Thanks Nathan! So glad to hear you found our site useful. Have a great time – love Central Asia! 1. Bia Hoi is generally considered the cheapest beer in the world, as it can be as little as 10¢ per glass. 2. The Hindu Kush is entirely outside of Tajikistan. The northern side of the range is in the Afghan Wakhan, while the south side is in Pakistan. I think it’s also worth pointing out that the Shia in Tajikistan are mainly Ismailis, and that the Pamiris are mainly Ismailis. Ismaili Islam is a very progressive form of Islam and this helps explain why Pamiris are much more progressive than most other Tajiks. Wow!! !Such an amazing blog! I am Brazilian national who lives in India and I just came across your blog! Really good, unique and useful tips! Keep it up! Thank you very much Juliana 🙂 Happy travels! As much I try to do research on apply tourist visa at Tajikistan Embassy in Beijing. My question is do we still need an invitation letter for applying tourist visa and GBAO permit? About visa processing, some info sources said that you can pay double for normal price and you can get your visa within 3 days. Do you happen to have confirmation regarding to this matters? We got our Tajik visa in Bishkek, Kyrgyzstan. We got it same day as well, it was very easy. Check out Stan Tours online for more information. Cheers. I notice in the section Getting In & Out by Land, Afghanistan wasn’t mentioned. I am planning to fly into Kabul and do a road trip into Tajikistan (Dushanbe) in September. 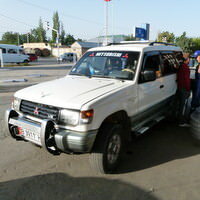 I’ve done China into Kyrgyzstan by land and although long, I had no issues at any check points or at the actual border. 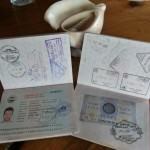 Kyrgyz border control simply said welcome and stamped my passport with a car. Any specific reason why Afghanistan was excluded? Yes I understand the danger at the moment but surely someone has done the land route from Kabul to the Tajikistan border. If so, would like to know if any issues and can I get a visa at the Tajik border? I am exciting to know about what we should do and what we should pack in order to go there. I hope you have a wonderful time over there! I am so happy that I stumbled upon this post, and that you have more advice about traveling in Central Asia. My husband and I are in the process of planning our trip, and this has so much helpful information, especially the information about the visas. I can’t wait to keep reading all about your advice and experience in these countries. And it’s possible I might have some visa questions down the road. Thanks for everyone I’m Bahrom Tagoev I studied tourism and I’m a local guide in Tajikistan.If you want to visit Tajikistan and you don’t know Tajik and Russian and don’t know where you can stay don’t be worry about it. I help you for easy trevelling in which teritory of our coutry you want.Everthing in Tajikistan is cheaper than other countries. Come and see whith your own eyes the beauty and sightseeing of Tajikistan.Learn and discover the new culture and new thing you have never seen before!!! Please take my number mobile phone +992985747296 on Viber. Hello, this has been a very helpful page! I’m planning to enter Tajik from istanbul, is it possible to get the visa there? You have an amazing blog here. Wow,!, I just didn’t stop reading it till the end. However , I am Indian ,brown skinned , black of hair. You think there’s a problem for a brown guy up there in the mountains ? Also how safe is country and I’ve been to Israel and I have the visa ,so will it be a problem for me to enter the country ? 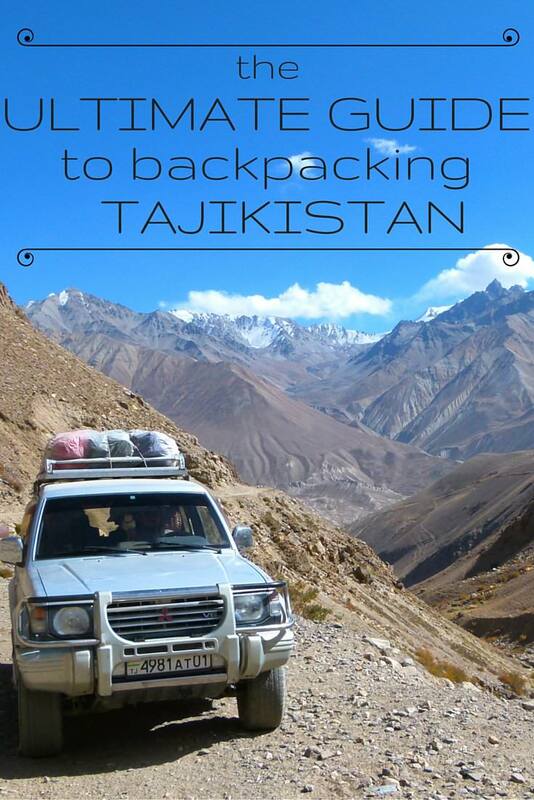 Backpacking in Tajikistan seems like an excellent idea. This was the most comprehensive and useful post for backpacking in a while. I would love to hike in the Pamir Mountains as the scenery there seems truly picturesque! Thanks for the post – it all sounds so great! I was just wondering how you found homestays to stay in? I’m planning a same trip as the 4 of you did … in early Aug.
Could you share your contacts forbthe agnecy that set you all up? Well, That’s likely an ideal countries for off-road caravan tours! I love how detailed this post is! I am really looking forward to a Tajikistan trip! Will bookmark this article for reference.